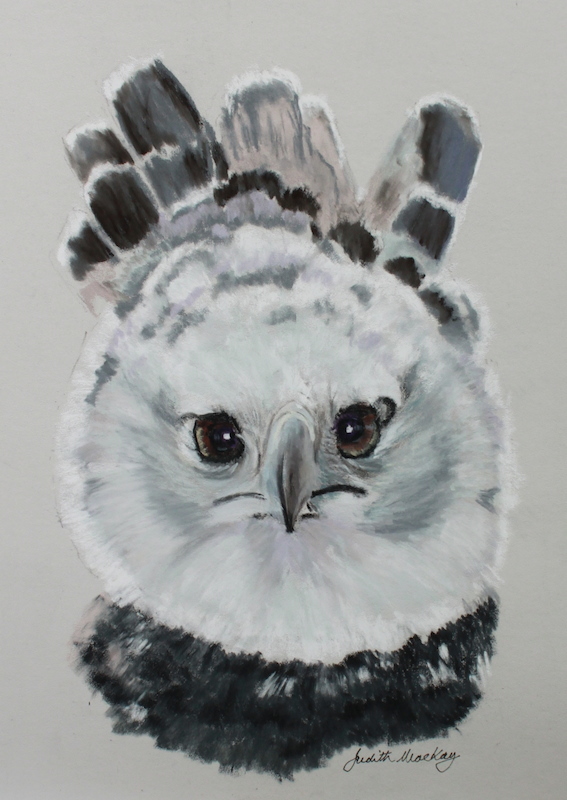 I really enjoyed painting this amazing Near Threatened bird. It is the largest and most powerful raptor found in the rainforest and among the largest extant species of eagles in the world. It usually inhabits tropical lowland rainforests in the upper (emergent) canopy layer. Destruction of its natural habitat has caused it to vanish from many parts of its former range, and it is nearly extirpated in Central America. In Brazil, the harpy eagle is also known as royal-hawk (inPortuguese: gavião-real). A digital print of my painting together with a certificate of authenticity will be among the exhibits. They are also planning to put some of the images onto tee shirts and other saleable items to generate funds to help with the conservation of this amazing bird and its habitat.